The last few nights it has been so chilly here in Minnesota that I’ve actually had to get out my trusty heated throw! If only I could drag summer out a little bit longer and stay at this incredible Rhode Island beach house that was featured in HGTV magazine, photographed by Zach DeSart. 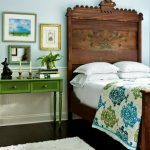 I love how their guest bedroom is decorated with an accent wall of reclaimed barn wood. 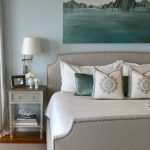 The contrast with the lovely bed linens is beautiful! 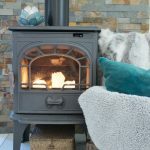 Tour the rest of the home here! 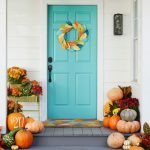 With fall being in the air, I can’t help but get excited about decorating for the changing season. Longtime readers already know my favorite go-to fall accessory….Plush Pumpkins!!! 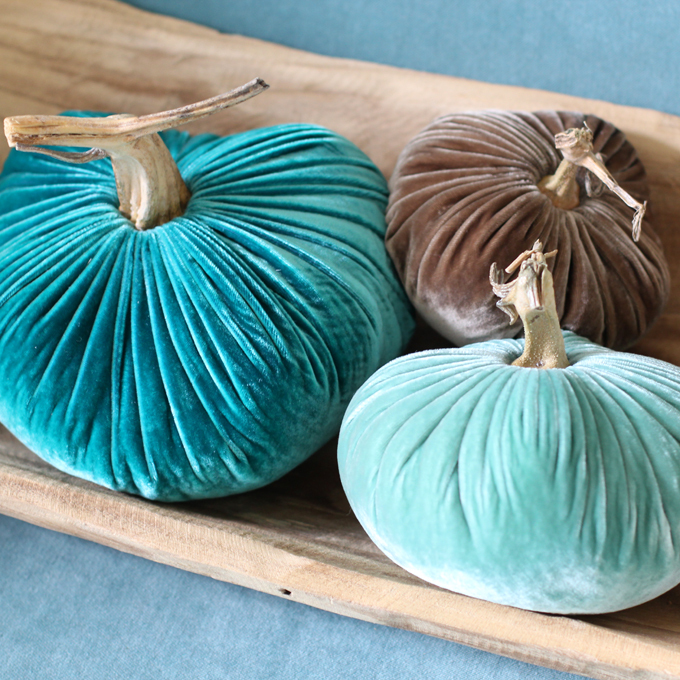 I’ve been adoring these beautiful velvet pumpkins from LoveFeast Shop for years now. The heirloom quality, handcrafted pumpkins are made of luxurious velvet, linen or leather and finished with a natural, organic stem. And they’re available in such pretty colors (40 to be exact! )….one of them being turquoise! 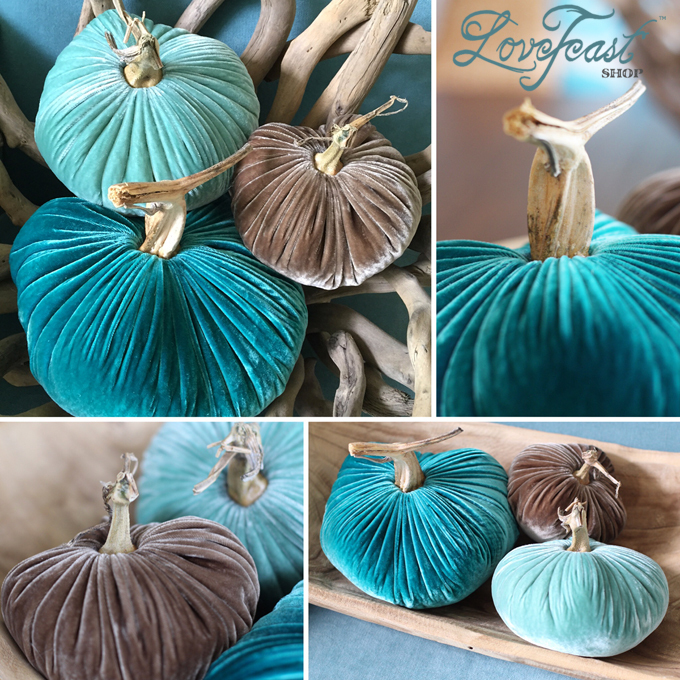 Thanks to LoveFeast Shop, one lucky reader will receive their very own Velvet Pumpkin Turquoise Trio, a brand new set that includes a 6″ Turquoise, 5″ Lagoon, and 4″ Putty pumpkin. SO pretty!!! And there’s more….they are generously giving my readers a 20% off coupon valid for the duration of the giveaway! It’s good for unlimited amounts of orders and on anything in their store–not just the pumpkins! Just use code: LOVEFEASTHOT20 at checkout. Visit LoveFeast Shop and then come back here and leave a comment about what you love most! (Email subscribers just hit reply.) Please be sure to leave your email address if you’re commenting anonymously so I can contact you if you’re the winner! For an extra entry, “like” LoveFeast Table on Facebook, then leave a separate comment saying you did just that! For another extra entry, “pin”/share the collage above on Pinterest, then leave one more comment saying that you did. Winner will be randomly selected and announced next Tuesday, September 1st, 2015. Use coupon code: LOVEFEASTHOT20 to take 20% all orders through September 1st, 2015.